If you are looking for the most elegant pink blooms, look no further! 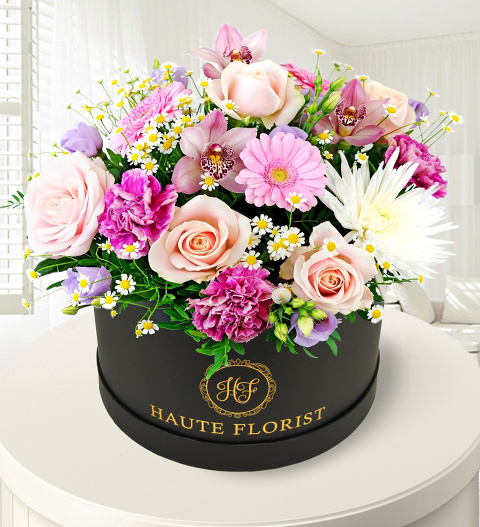 Our expert team of florists has carefully selected a variety of pink and pastel-coloured blooms to create this Haute hat box design. You will notice how the Carnations, Stallion Chrysanthemums, Lisianthus, Orchids, Peach Avalanche Roses, Germinis, and Delianne Chrysanthemums create superb textural contrasts while their colours blend together wonderfully.